Revitalize and re-energize your body’s systems. Eliminate toxins while improving your cellular functions. Welcome to the beginning of the end – of your pain. Vivie Therapy, formally known as Prevent The Pain Therapy and our team of highly trained professionals use the latest healing technologies to restore you to pain-free health, quickly and easily. We thoroughly evaluate & treat all of the contributing root factors related to your issue. This includes, but is not limited to, your work and home stressors, overall body condition, nutrition, genetic & postural habits, emotional connections and patterns that are held in your muscles. What separates us from other standard Physical Therapy centers is our mind-body approach to wellness and the long-term results received by our patients. Vivie Therapy services address many conditions, including acute and chronic pain, Low Back, Neck & Spine Injuries and more. All of the Vivie Therapy massage practitioners are gifted with intuitive abilities to know what kind of massage you may need. Whole Body Vibration is the best and easiest tool to help you get in shape and stay healthy!! 10 Minute sessions are all you need. Our services address many conditions, including Migraine Headaches, Postural Issues, Arthritis, Computer / Overuse Injuries and more. Vivie Therapy uses common modalities such as ultrasound, electric stimulation, mechanical traction, pulsed electro magnetic field technology. Our expert therapists use a variety of techniques that easily and efficiently unravel years of stress and tension. We believe that by adding detoxification to your routine, you will improve your body’s ability to heal and perform stronger and better then ever. This system is easy to use and a powerful & valuable tool in successfully combating the effects of aging, weight gain, degeneration and toxicity on our body. Vivian founded her healing center Prevent the Pain Therapy, now renamed Vivie Therapy in 2003 with the goal of helping patients with chronic and recent pain reclaim their lives quickly and thoroughly. 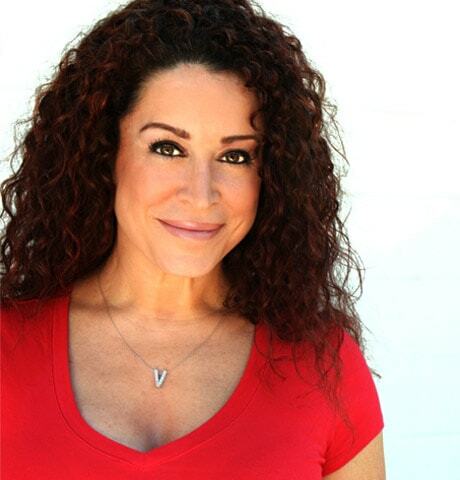 A health practitioner who has explored traditional and modern healing techniques for over 20 years, Vivian creates programs based on Pilates-based Physical Therapy, Massage Therapy & subconscious associations to the problem. This along with postural and daily activity movement analysis programs, all approached with a holistic body-mind-spirit understanding, encompassing your total well-being. Vivian gives a pinpoint diagnosis to your issues while working closely with you, providing clear education and home programs that don’t just facilitate full recovery, but have you prevent future injuries to live a vivie or “pain-free” lifestyle. Prior to founding her own practice, Vivian served as a Physical Therapist at Cedars-Sinai Medical Center in both their Outpatient and Spine centers as well as running private clinics in Beverly Hills, CA. I love getting an adjustment from Vivian. When she puts her hands on me the healing that takes place comes from multiple levels. She has been able to reach places in my body where I have been holding on to stuff for decades. I am discovering a new lighter me. My pain is reduced. My range of motion is improved. I can breathe better and walk better. Please, we all need more love and self-care.....give yourself the gift of a session with Vivian. 40+ years of sports from falling on skateboards, years of rugby and rock climbing in the Himalayas have left my wrists and hands in pain, not to mention the 5 hours a day on the computer for the last 10 years. After one session with Vivian my pain was 75 percent relieved and I was on my way to some long-term relief. Vivian's great energy, attitude and knowledge are incomparable. Also her facility is inviting, high tech when needed and back to basics when those techniques work best. Thank you Vivian, I look forward to working with you keeping me pain free and my athletic career intact for the next 40 years! Hi Viv, you know you are The One!!! You have helped me so tremendously on so many different levels, my hip has never hurt again after you worked on it for a little while. Wow, it took seven years to find you! Now you will help me heal after the shoulder surgery, looking forward to working with you. YOU ARE THE BEST! Have questions for the therapist? Vivian and her team are there to help evaluate the best options for you! Contact us today! Ask a question or leave a message below and the therapist will follow up on your request shortly.